Deepu Sethi, Consultant Orthopaedic Knee Surgeon, and Stephen Holloway, Physiotherapist, discuss treatment methods for skiing injuries. 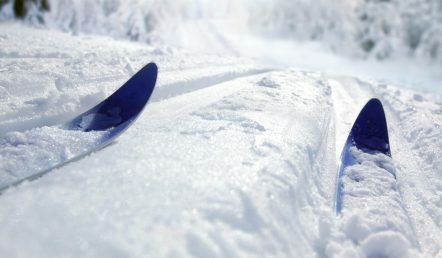 Skiing is a very physically taxing activity, and it’s common to return from a trip with a few aches and pains from joint fatigue. If a major injury has occurred, however, what can be done to get you back to the slopes? Looking at the knee specifically, injuries can range from minor injuries (which heal by themselves) to major ligament injuries that may require surgery. We spoke to Consultant Orthopaedic Knee Surgeon, Deepu Sethi, for further insight into dealing with knee injuries whilst skiing. “Most people will get assessed at a local medical centre,” says Deepu, “broken bones, in general, are better treated immediately (rather than waiting to return home). In the absence of a fracture, these injuries can largely be treated once you are home”. Leaving a knee injury may seem daunting but there is good reason to postpone treatment until you return to home soil. “In the first few days and weeks following an ACL (Anterior Cruciate Ligament) injury, the priority is to reduce the swelling and increase the range of motion of the knee,” says Deepu, as, if surgery is required, operating on a swollen knee can result in a poor outcome. He also notes that some ACL injuries could be asymptomatic and be treated with physiotherapy alone, but, if any surgery is planned, it can be safely performed weeks (or even months) after the initial injury. Ligament injuries will often require an MRI to determine the extent of the injury, with surgery being a possible option for treatment. Once diagnosed, treatment or rehabilitation can begin. In the case of knee surgery, many ACL reconstructions are performed by keyhole techniques. Deepu states that the majority of these surgeries are performed as “daycase” (where the patient can leave on the same day as the operation) but the recovery period can take a long time and will require supervision of a physiotherapist. “I tell all my patients that 50% of the treatment is the physiotherapy (the other 50% being the operation itself),” says Deepu, “recovery varies from person to person and it may be nine to twelve months until the patients can get back to certain sports.” Nine to twelve months may result in missing even the next season, however recovery and rehabilitation is influenced by a person’s age, fitness levels, the severity of the injury and how strictly a physiotherapy regime is followed. Perform these exercises with a gentle and gradual build up post-injury, until the return to pain free movement. Due to the nature of skiing and alpine sports, there are also a vast number of shoulder injuries that can sometimes occur. “In terms of treatment and rehabilitation for rotator cuff injuries and stability of the glenohumeral joint”, continues Stephen, “it is important to firstly identify the range of motion and joint stability before continuing with specific recovery exercises. Once this is established, it is advised to commence with initial basic shoulder movement exercises, such as medial and lateral rotations, overhead pressing movements and lateral raises. If pain still remains, it obviously recommended seeking further treatment, from a specialist Physiotherapist”. Oryon Imaging offers affordable diagnostic imaging in Central London, with MRI from £200. Deepu Sethi is a Consultant Orthopaedic Surgeon at Homerton University Hospital, where he is the lead surgeon for knee and joint replacement surgery. He is one of few surgeons who operates exclusively on the knee. Mr Sethi has a specialist interest in sports knee injuries, joint preservation surgery and knee replacement surgery. Stephen Holloway is an HCPC registered physiotherapist with more than 20 years of experience in treating clients of all ages with muscular and skeletal conditions, he is also senior associate of the Royal Society of Medicine. Stephen’s Physiotherapy practice is based in Southampton and is locally renowned for his effective treatment methods.